the youngest, Percival H.E. 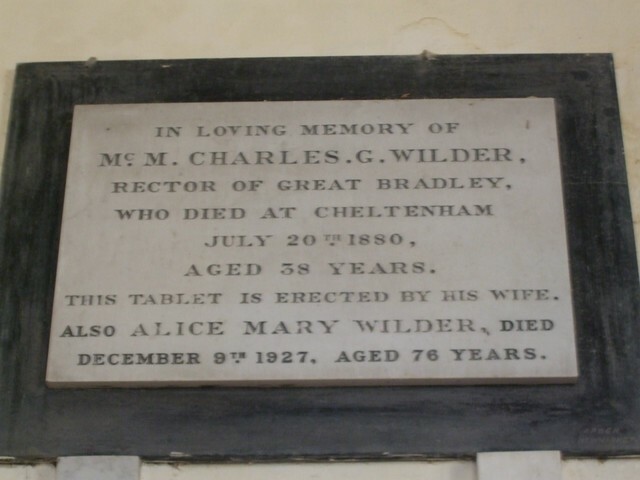 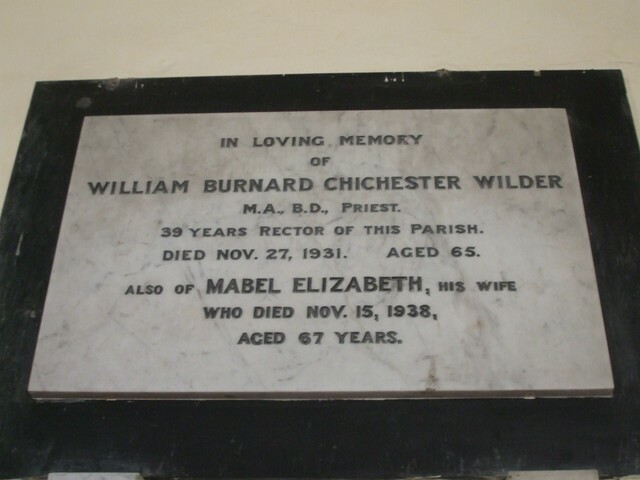 Wilder (born 1868, died 1942). ​In his Sermon Register, Burnard wrote not only of his family, but about the members of his flock, their illnesses, behaviour, their attendance at Church, the weather, the condition of the roads, the members of the Primitive Methodist Chapel, village celebrations, his servants, and numerous other subjects, until one is able to obtain a fairly accurate picture of social and economic conditions of the period. 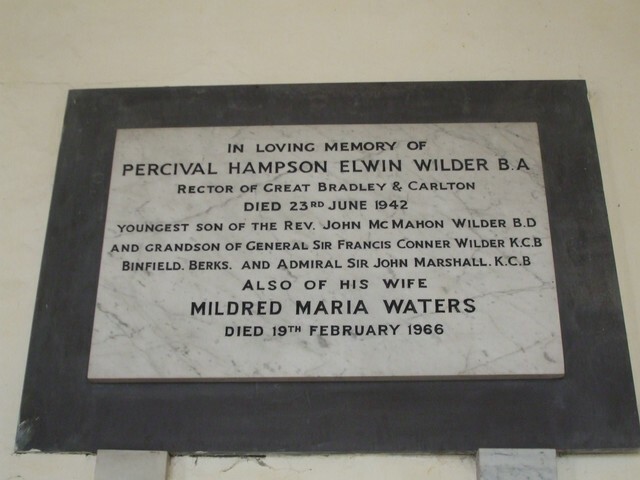 Unfortunately, permission has not been given to produce Burnard's notes in full, but some of those relating to general matters are included here. 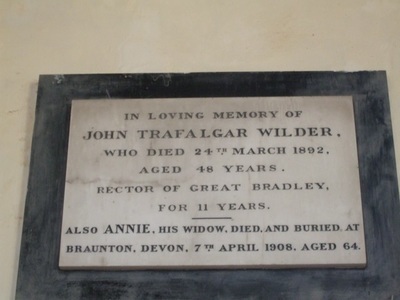 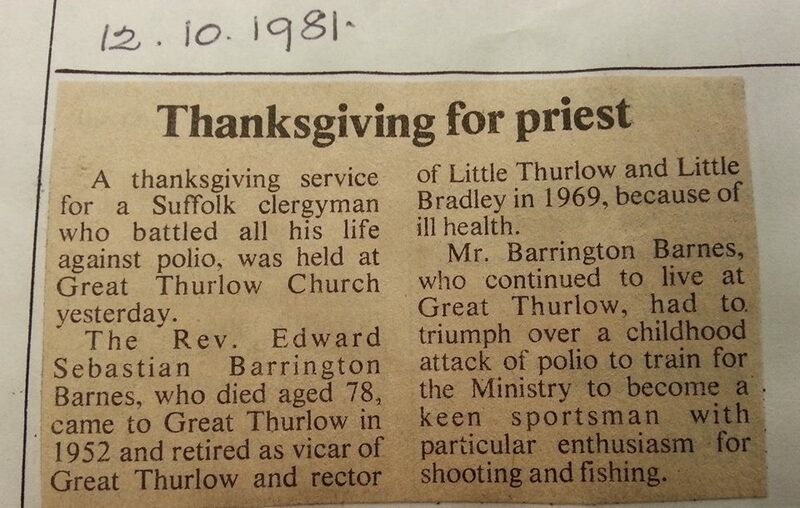 Burnard's last surviving son, Eric, was a regular visitor to Great Bradley church until his death in 1980. His ashes are interred in our churchyard. 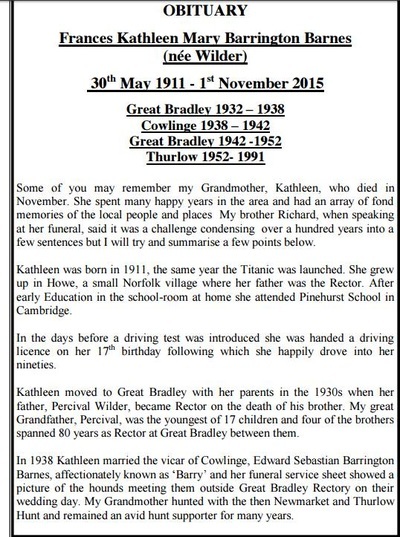 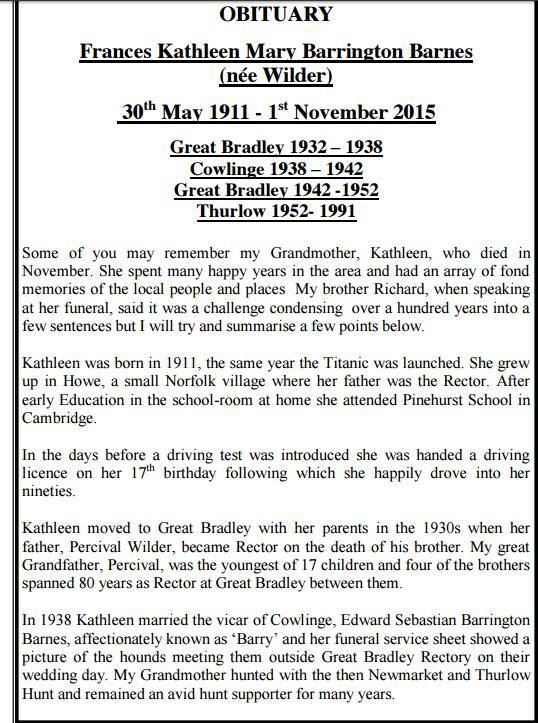 Kathleen Barrington Barnes died in Norfolk in November 2015 aged 104. 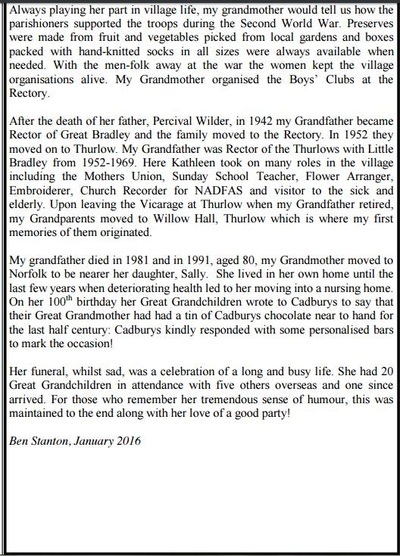 Her Grandson, Ben Stanton, penned this moving tribute for the Thurlow Village Link magazine. 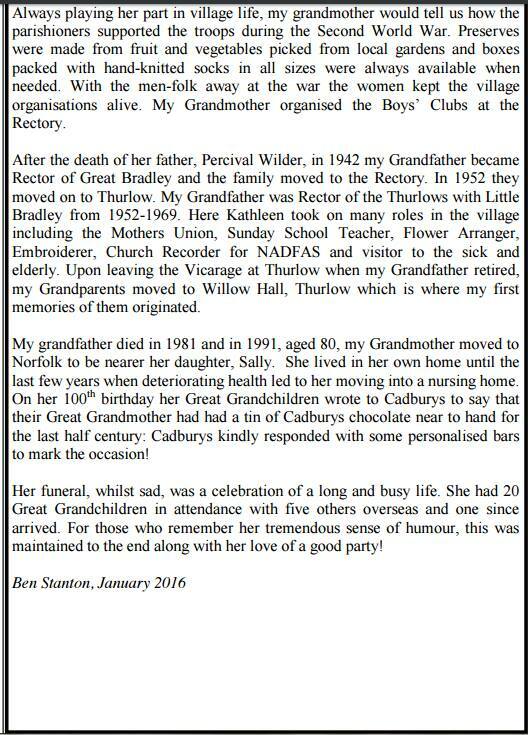 Click on the image to read the complete piece.